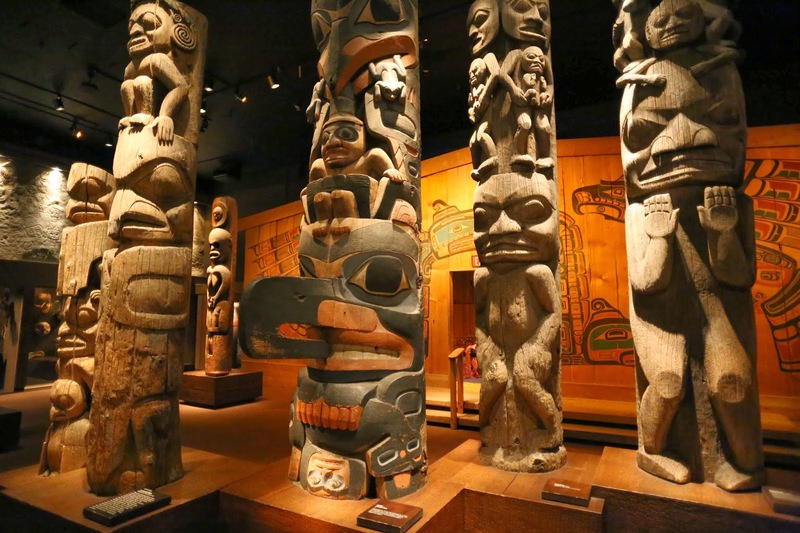 Also at the museum: a fine collection of west coast native totem poles. Some of the figures are unambigously birds, frogs, or beavers. The humanoid figures are a bit more confusing, and it would take some study to learn the differences between the different forms and faces.